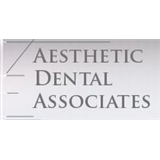 Aesthetic Dental Associates (Seattle) - Book Appointment Online! Dr. Hurliman was very friendly and listened to all my concerns. He didn't seem like he was in any hurry and could have talked as long as I needed.